X-Forces is a social enterprise that supports entrepreneurs in the military community. 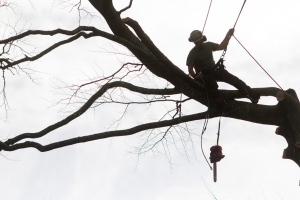 We work with service-leavers, reservists, spouses, dependents, veterans and cadets, providing business planning support and up to five years of mentoring after the business is launched. We then provide access to government backed loans through the Start-Up Loan Company. As the UK’s only organisation that supports enterprise in the Armed Forces’ community, X-Forces raced past another milestone at the beginning of 2015 as more than £3m of Start-Up Loans has been lent to hundreds of service-leavers, veterans, and spouses. X-Forces works directly with some of the main UK military charities, including Help For Heroes, The Officers Association and ABF: The Soldiers Charity, to deliver enterprise training through business planning programmes to the military community. These programmes help those who are interested in setting up their own business reach out for the tools and knowledge they require. Working with EMC, X-Forces has pioneered the development of an accredited technical training programme to support service leavers to fill the skills shortage in the technology industry. Our course candidates will be set up to enter the sector through the establishment of independent consultancies or as employees. 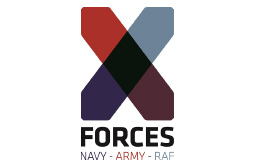 X-Forces works closely with the Ministry of Defence, the Department for Business, Innovation & Skills, the Department for Work and Pensions, and the Cabinet Office to provide bespoke support to the military community’s entrepreneurs. If you are interested in learning more about X-Forces, starting a business, or contributing to our training and mentoring programmes please get in touch with Emma Laws: 0207 811 3237, emma.laws@x-forces.com.